What links Edinburgh with Mars? 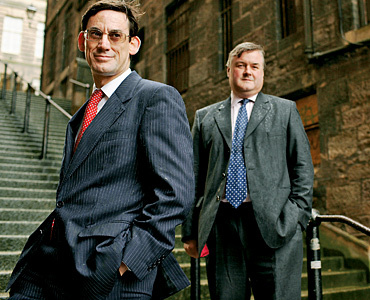 Answer: Baillie Gifford, the big Scottish investment management fund. Baillie Gifford was founded in 1907 and made its initial pile out of rubber in colonial Malaya. These days Baillie Gifford is a major investor in Elon Musk, the US billionaire behind SpaceX rockets and Tesla electric cars. In fact, Baillie Gifford owns around a fifth of Tesla, making it that company’s fourth biggest share-holder, with a stake worth circa $4bn. South African-born Musk made his initial fortune from PayPal. A restless soul, he became obsessed with building re-useable satellite launchers for Nasa, as a prelude to his long-term goal of establishing a human colony on Mars. That might be enough of a career for any entrepreneur, but Musk is also obsessed with electric cars and to give him his due the threat from Tesla products has forced the entire global car industry to switch away from the internal combustion engine. There’s one, wee problem: Mr Musk’s various enterprises don’t make profits. Tesla operations posted a record loss of £523 million in the first three months of 2018, thanks to delays in mass producing its Model 3 car. Indeed Tesla has never made a profit since it went public back in 2010. So why is Baillie Gifford so committed to the wayward genius of Elon Musk? Because investors are betting that someday he will hit the jackpot and dominate the global automotive market on earth (and, who knows, Mars). In ordinary parlance, Baillie Gifford is gambling big time. Fortunately, there are enough such gamblers to have boosted Tesla shares into orbit. They are currently circling $350 a pop. Ballie Gifford may not be making cash but the book value of their Tesla holdings has soared. But there’s a problem. Tesla may have pioneered electric cars but the rest of the industry is catching up. Some are betting that Tesla will never return its investment. As a result, Tesla shares are being shored wholesale; i.e. speculators are betting on a share price collapse. This has prompted the irascible Mr Musk to announce he is taking Tesla private. Alas, he tweeted this bombshell without discussing its merits with shareholders. “We are very supportive [of Mr Musk], but we would like peace and execution at this stage.” Anderson went on: “It would be good to just concentrate on the core task.” In other words, Musk should stick to the day job. On the other hand, Musk is talking about taking Tesla private at $420 a share, which would make Baillie Gifford a handsome profit. For those of you confused as to how a loss-making firm can be worth that amount of money, you don’t understand capitalism. Politicians are ill-advised to pounce on early publication of economic growth and employment figures, as the raw data is always subject to later revision. There is much egg on Unionist faces following this week’s publication of revised growth numbers for Scotland. Instead of lagging, Scotland actually grew faster than the UK in the year till the end of March. Back in April, referring to the earlier, uncorrected data, David Mundell, the Scottish Secretary, ranted that he was “increasingly concerning that a significant gap persists between Scotland’s economy and the rest of the UK” and that the SNP Government should use its powers “to close this gap”. Presumably our Man in the Cabinet will issue a suitable apology – not. Should we measure inflation using the old Retail Price Index (RPI) or the newer Consumer Price Index (CPI) favoured by the Tory Government? Both use a select basket of goods to track price changes. But CPI leaves out the costs of your home – so rises in mortgage payments and rents are deliberately ignored. As a result, RPI is higher. So linking pensions, welfare payments and wage increases to RPI costs more. Which explains the Government’s preference for CPI. Hence also Chris Graying, the UK Transport Secretary, demanding that rail wage increases be set by CPI instead of RPI. Grayling justifies his preference for CPI by saying even the Governor of the Bank of England, Mark Carney, thinks RPI is “unfit for purpose”. True Carney did use those words but there’s more to it than that. The two indices are calculated using different mathematic techniques as well as different baskets of goods. CPI is in fact more statistically reliable – which is why Carney says its “better” than RPI. But he also pointed out that there is a third and better index called CPIH which – crucially – includes housing costs. Carney implied it was CPIH we should be using, not the politically-motivated CPI. Even a Martian can understand that. The difference between RPI and CPI are really quite significant but we, the consumers of goods, services and pensions are being ripped off both ways. When it suits pensions are increased by CPI but did I hear right that rail fares are increased by RPI? I haven’t researched it but I suspect there is a PHD to be written about the various double standards that are used to fleece the public. And the interest rates for repaying student loans are calculated using the higher RPI rate. That’s handy. ‘Looking forward already to the first Interplanetary Book Festival on Mars. Top-billers Gordon Brown, Alistair Moffat and John Lister-Kaye will be flying Virgin business class from the A’Mhoine Spaceport in Sutherland. Scotland as part of the U.K. and receiving support is keeping pace in one quarter with the rest of the country. Hardly a ringing endorsement of SNP governance if that is what you are alluding to. And certainly not a basis to impose a referendum on Indy upon a discerning electorate! Pass me the GCR please!